Nadi-based DHL Express staff and their families have joined a Go Green initiative as part of giving back to the community. 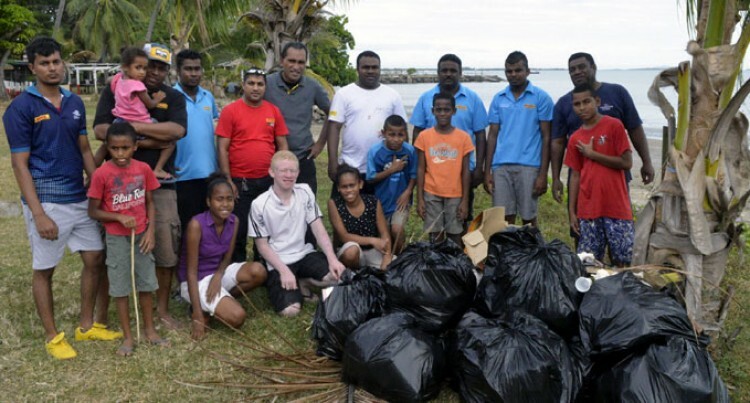 Team leader Faraaz Khan said it was part of the company’s corporate social responsibility and nine staff members and their families were involved in cleaning up the area at Newtown Beach in Nadi. He said it was not a serious activity because they shared jokes, laughter and it was a good set-up for team bonding as well. “This is part of our World Environment Day – Go Green Go initiative where every year we come out of our daily work routine and give back to the community,” said Mr Khan. The event ended with a fun day where the staff mingled with each other and enjoyed a picnic lunch. The team renovated classrooms at Mulomulo Primary School early in the year. Meanwhile, their 25 Suva-based staff were involved in similar activities. Team leader Ramnesh Lal said in collaboration with the Forestry Department they planted 4500 mangroves trees near My Suva Picnic Park. “The weather in the capital city was not favourable for picking up rubbish so we planned to plant mangrove,” said Mr Lal. He said it was a success because the environment was an important part of our lives, especially our future generations.